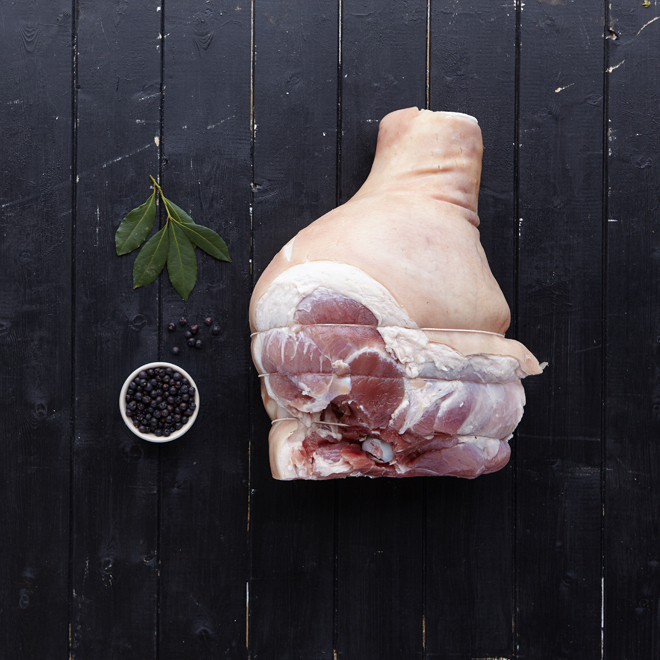 We started out with our own herd of Gloucester Old Spots so it’s fair to say we hold a bit of a soft spot for pigs. 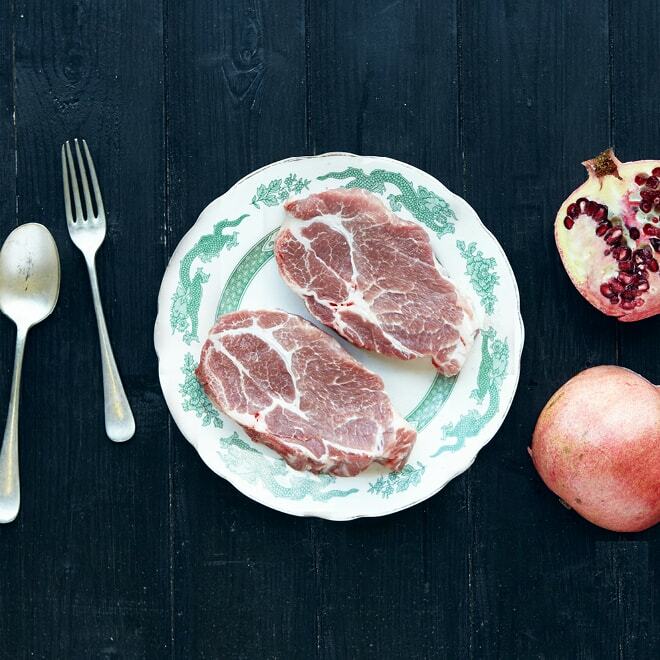 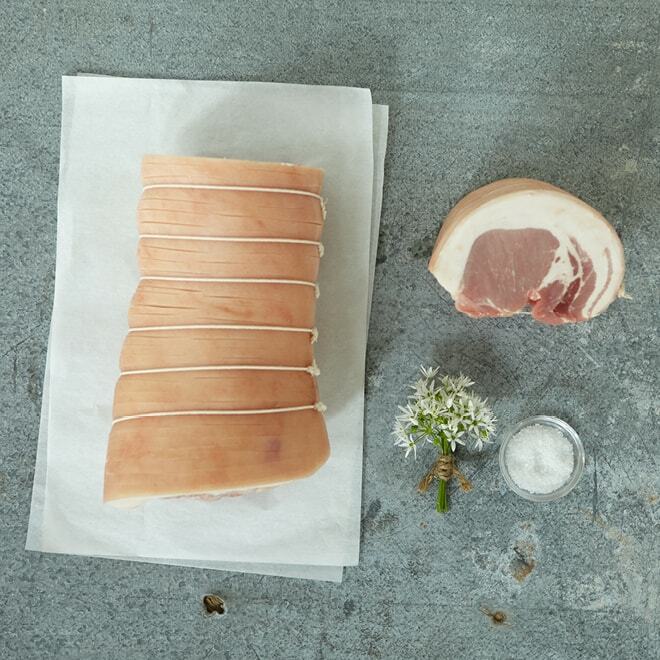 Once you have experienced the difference between genuine free-range pork and the sort of flavourless, dull, grey, watery pork that has become all too familiar you’ll never look back. 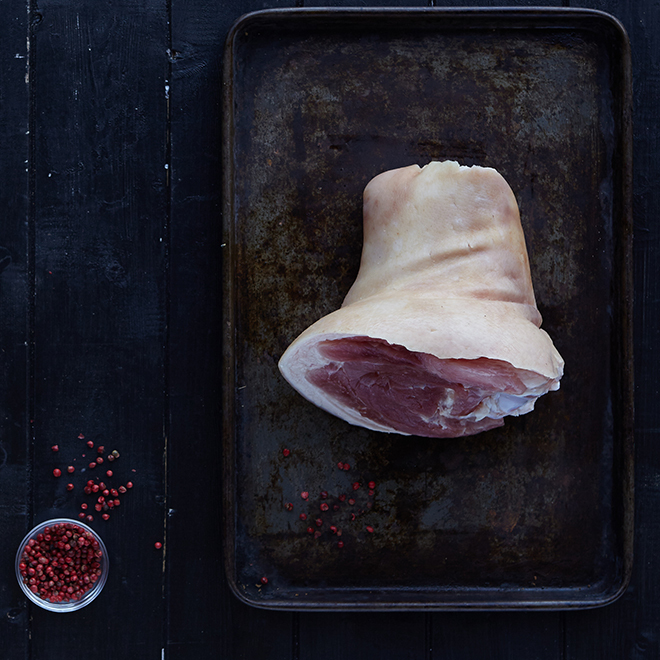 Good quality pork should have a deep pink colour, lots of marbling and a generous layer of fat to create perfect crackling. 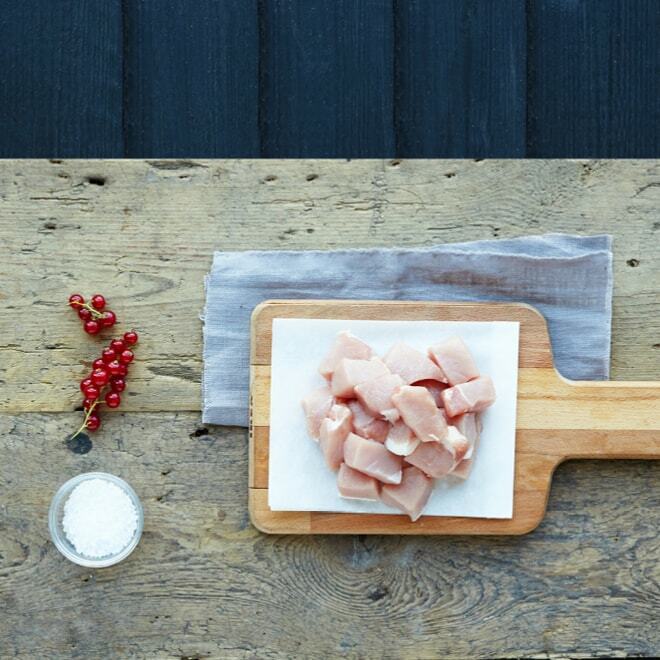 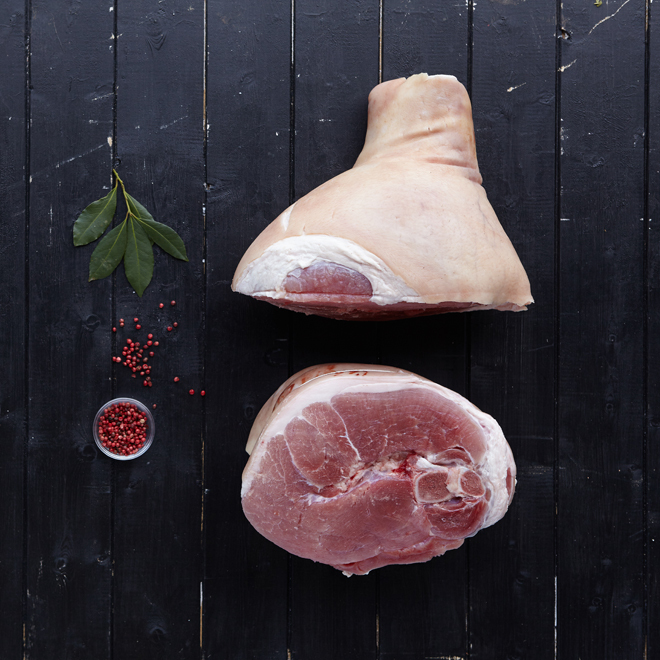 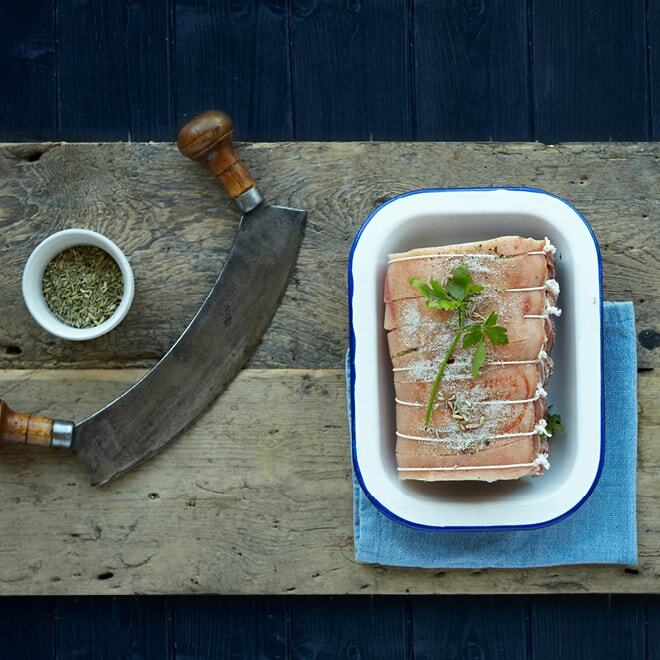 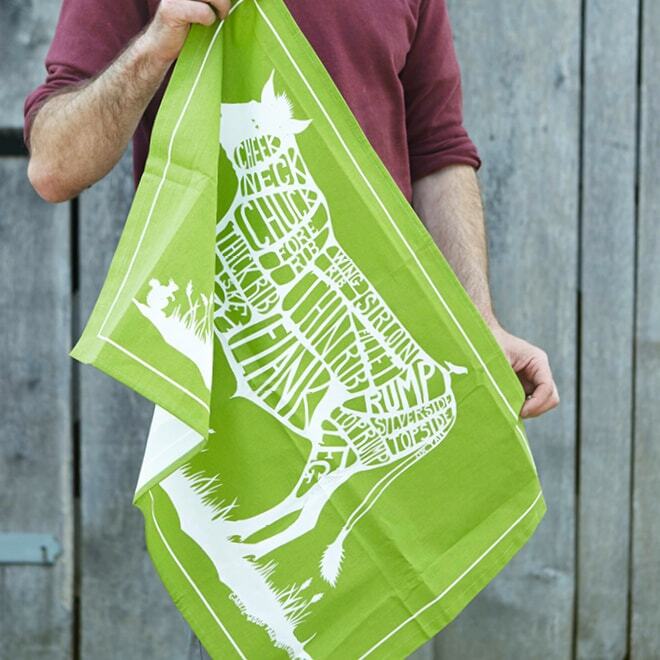 All our pork is free-range and farmed a short distance away from our butchery in the heart of the South Downs National Park. 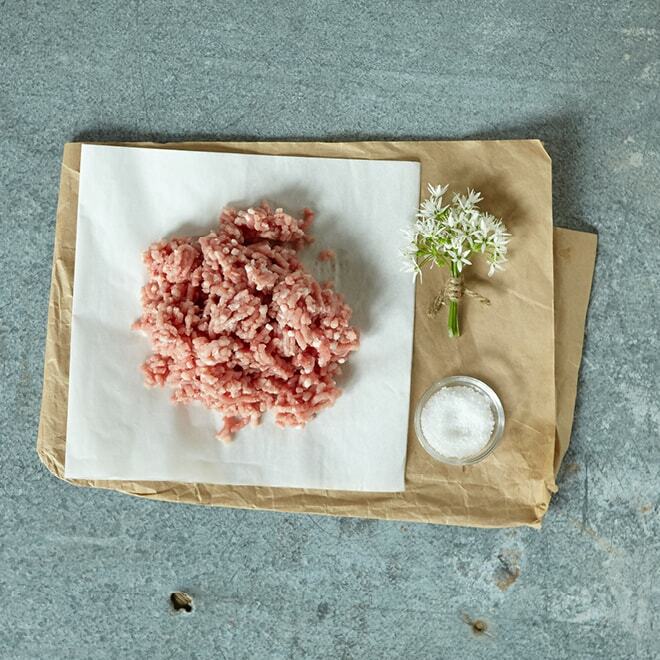 The animals are farmed to the highest recognised welfare standards - allowed to move freely in a generous outdoor space with access to warm, dry indoor spaces for sleeping and to shelter from the elements. 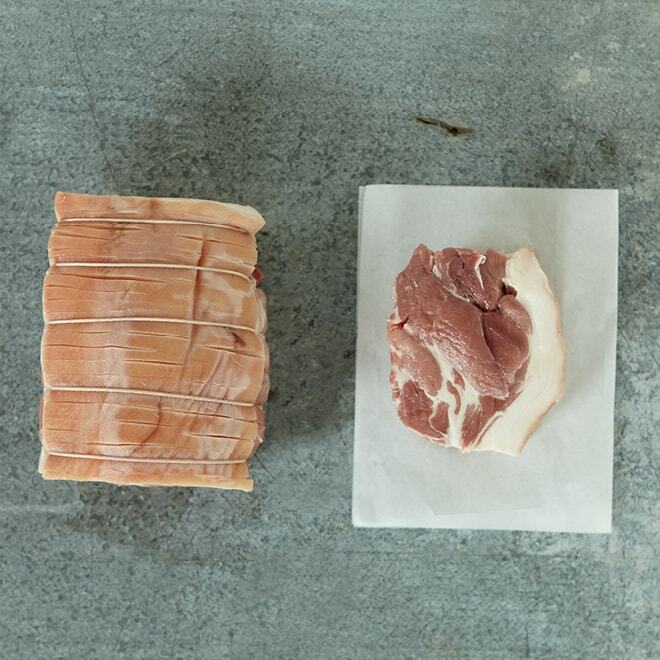 Under no circumstances will our pigs be subjected to unethical practices such as the use of farrowing crates, tail docking, nose-ringing or the routine use of antibiotics to control diseases prevalent in intensive 'factory-farmed' herds. 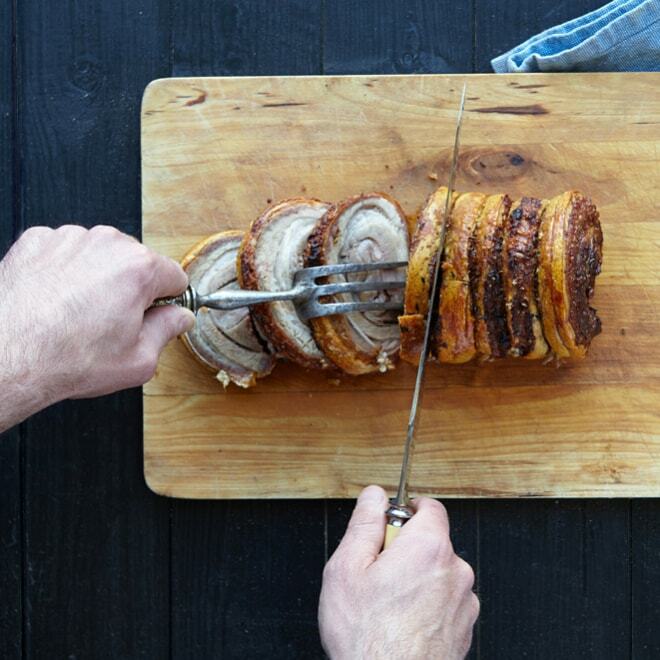 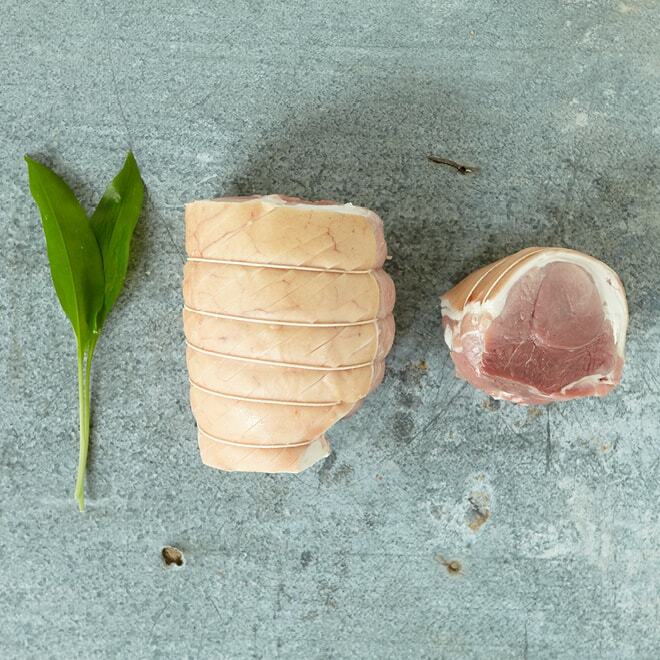 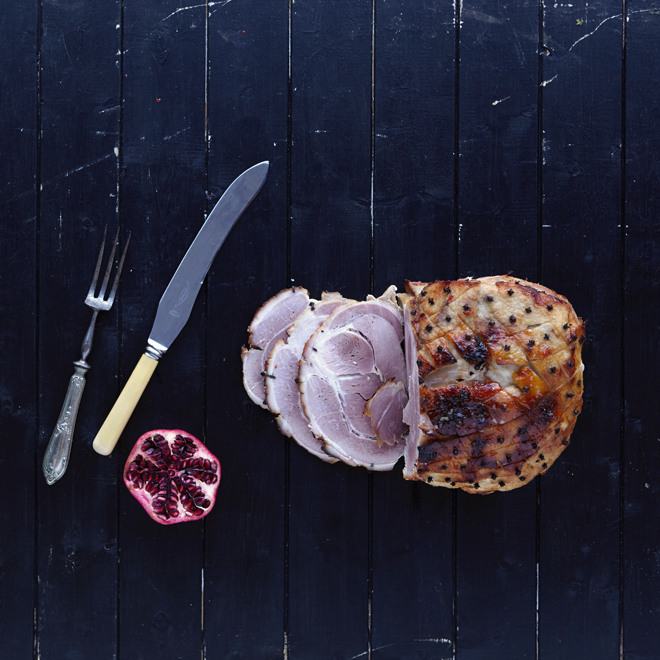 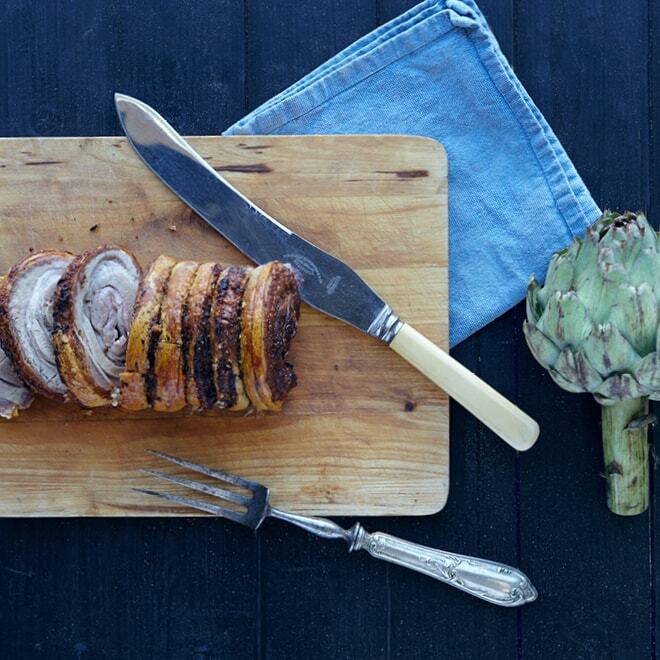 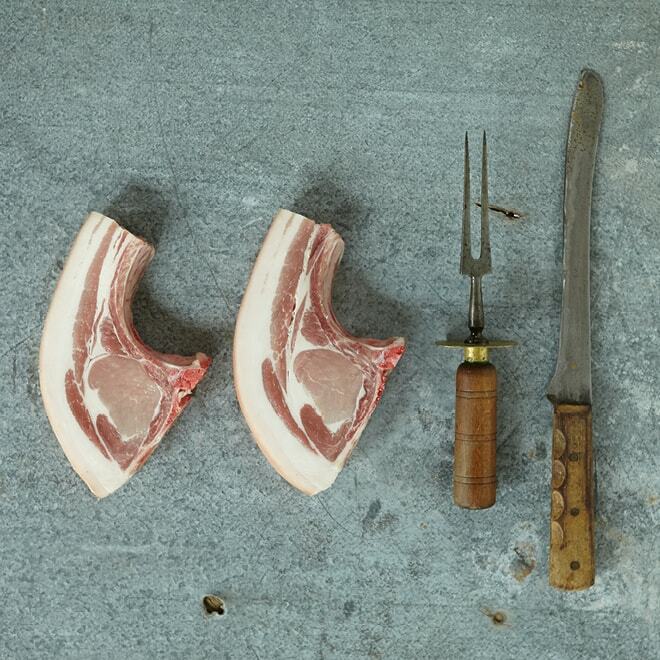 Whether it’s a simple pork chop or our own take on the Italian classic Porchetta roast our free-range pork will remind you how proper meat should taste. 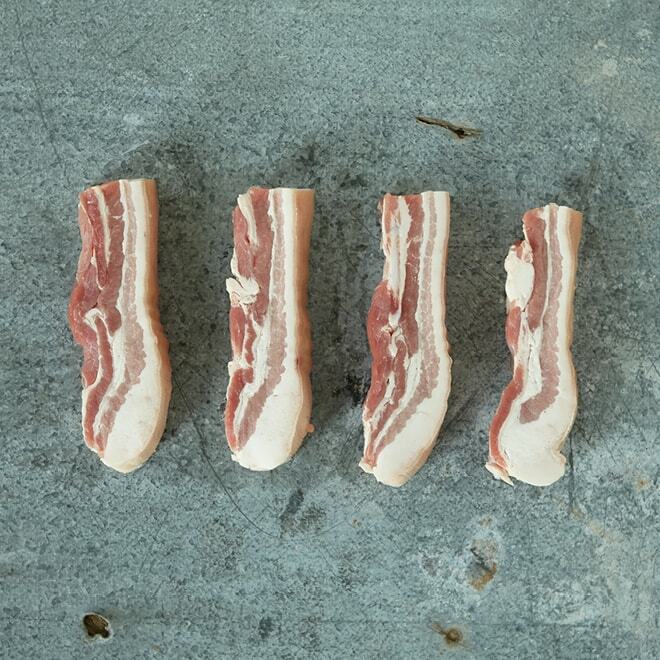 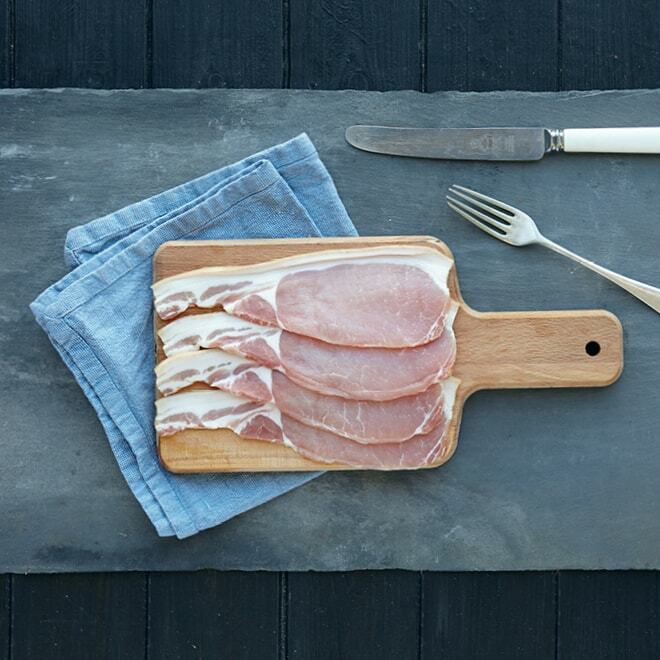 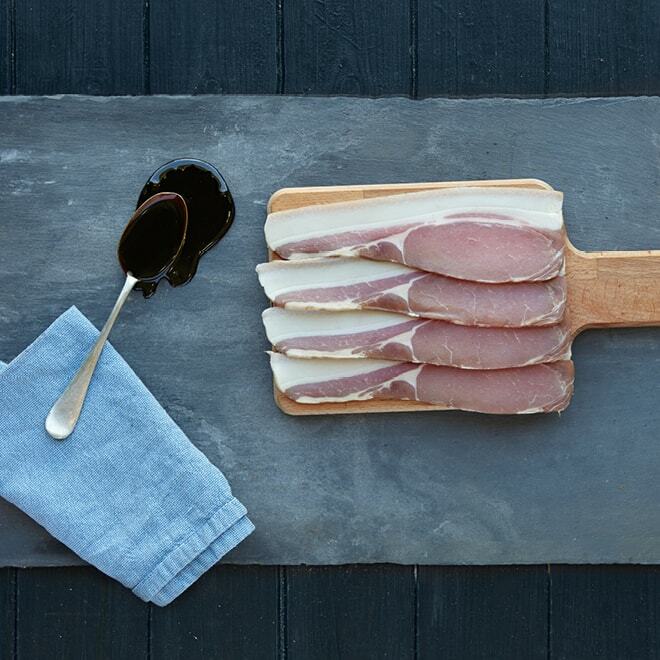 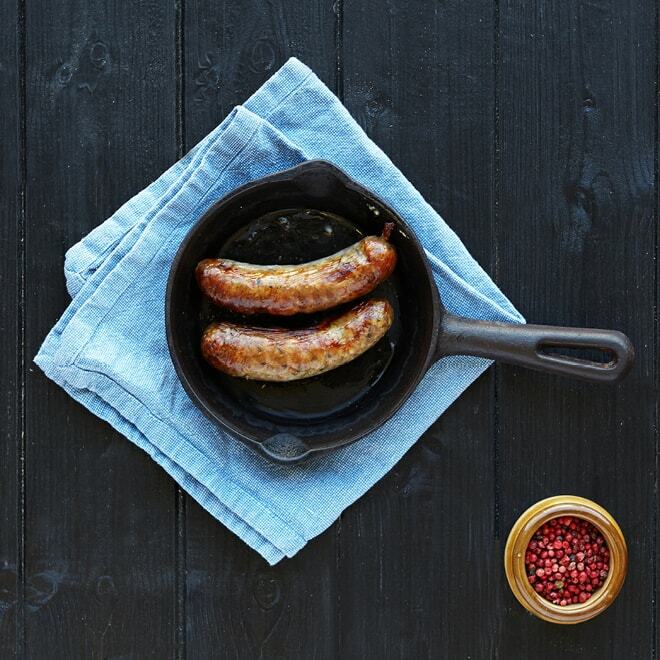 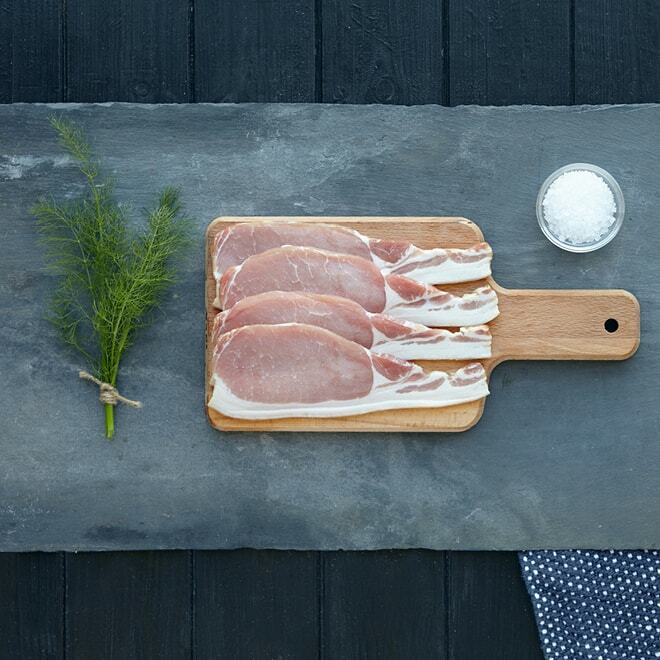 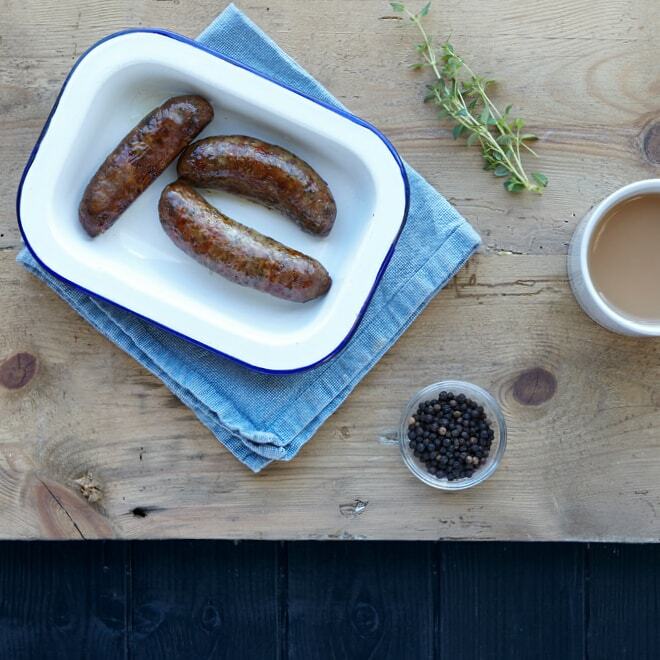 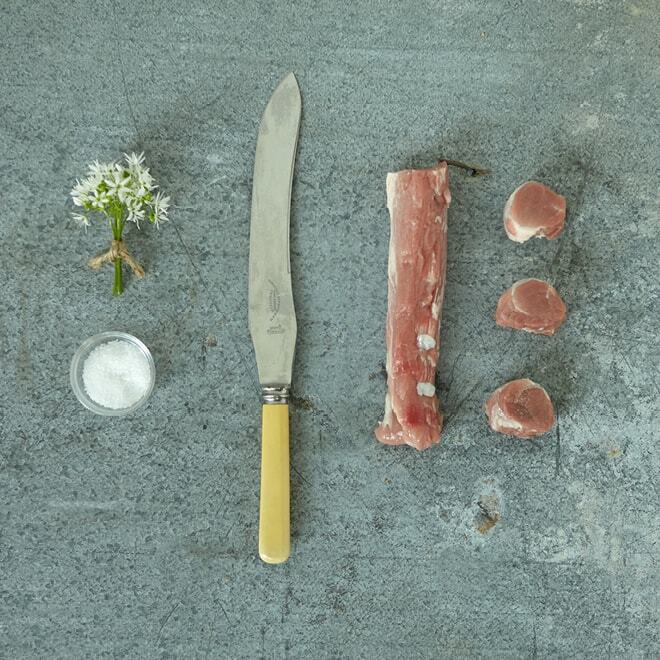 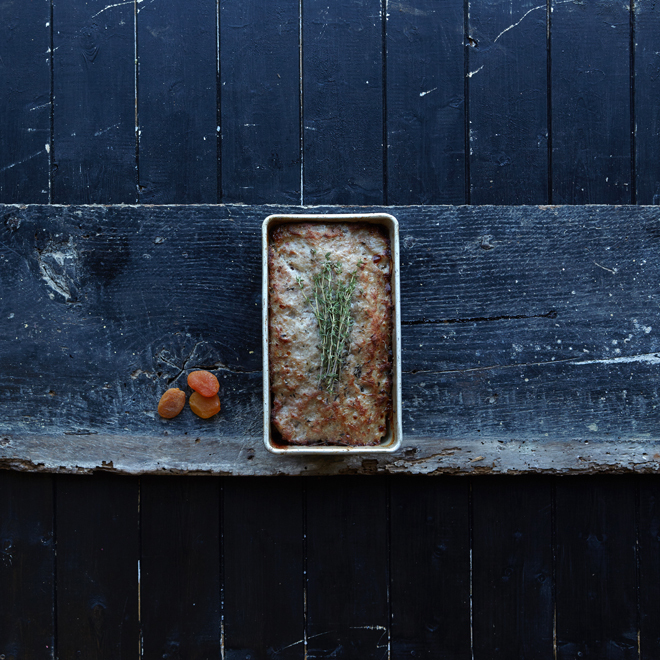 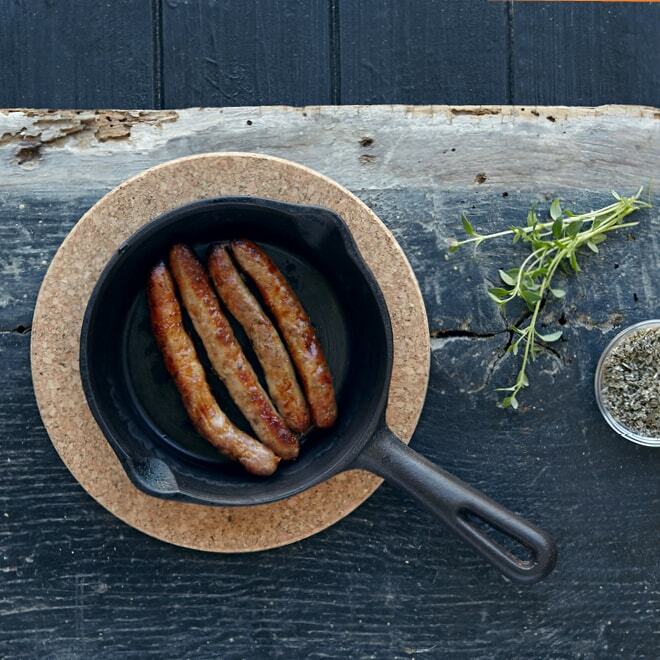 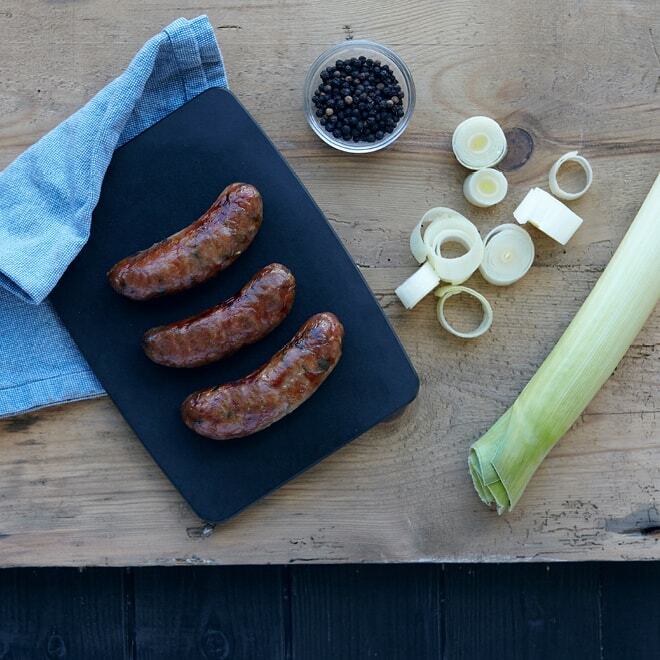 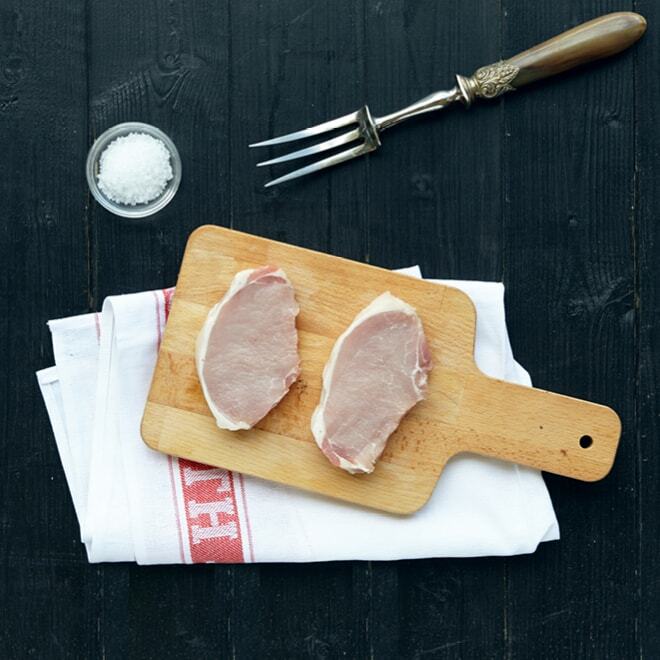 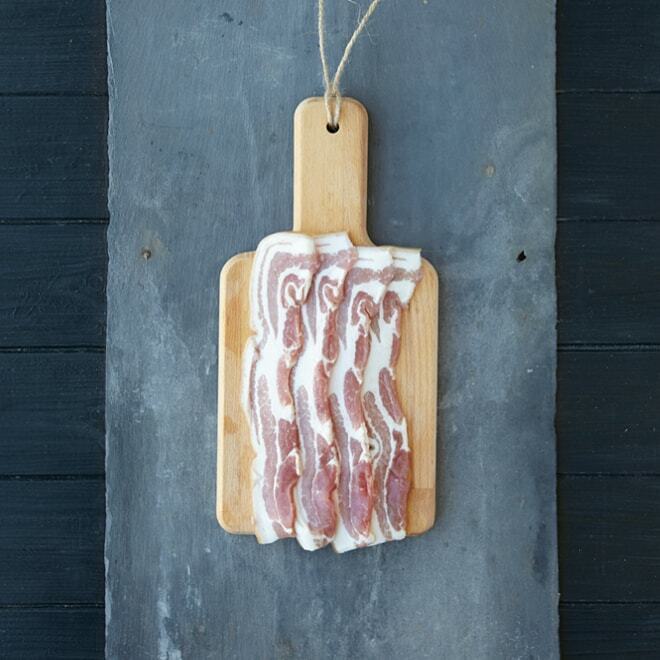 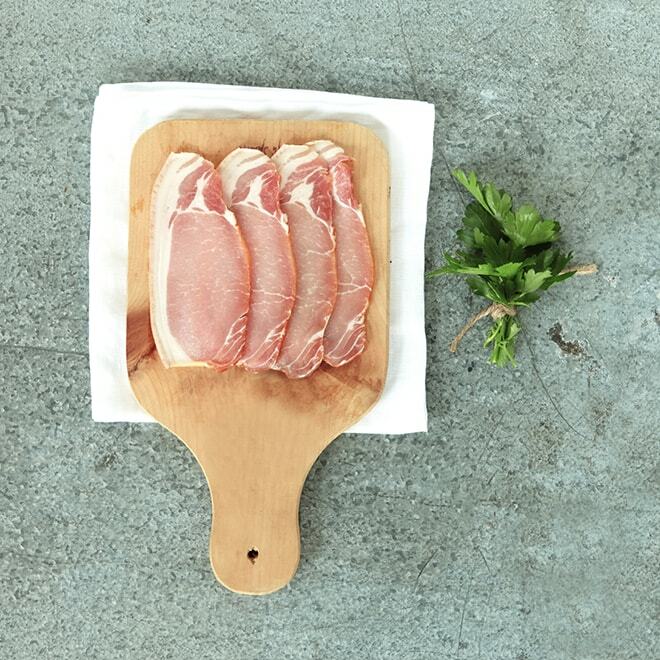 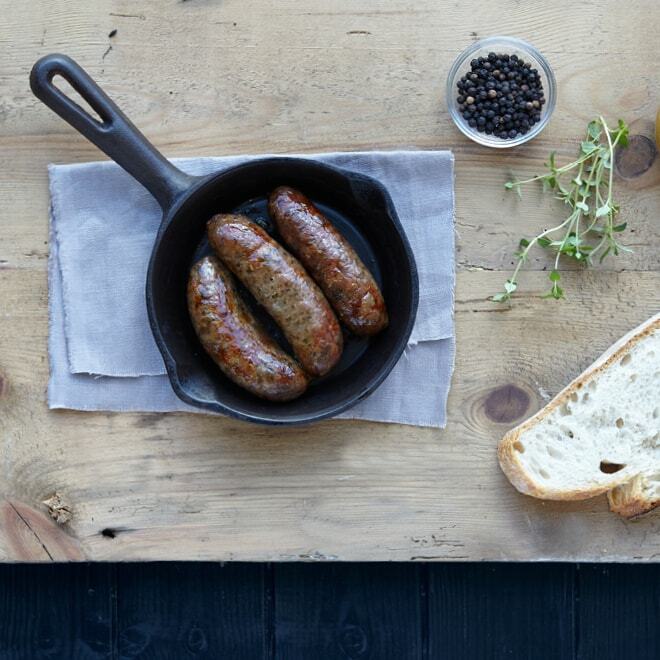 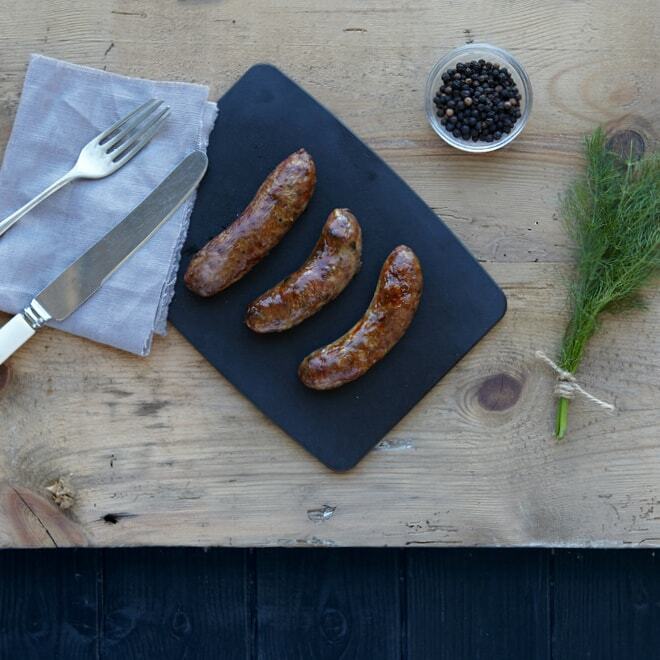 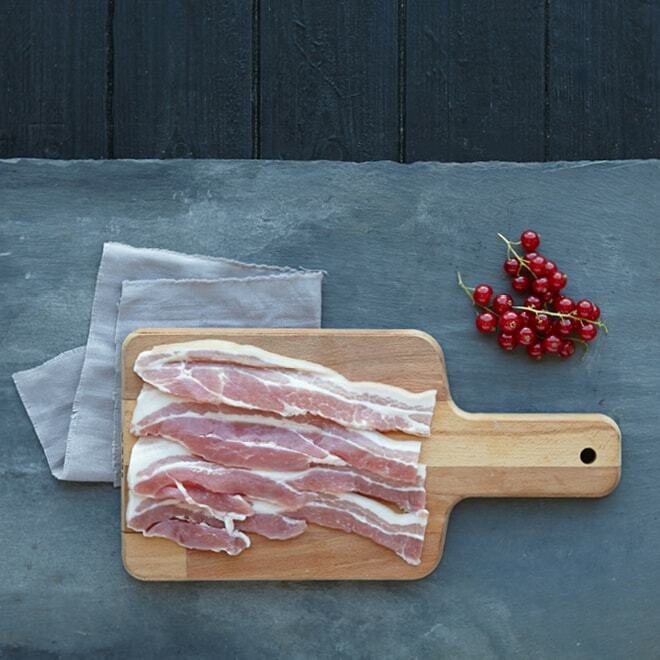 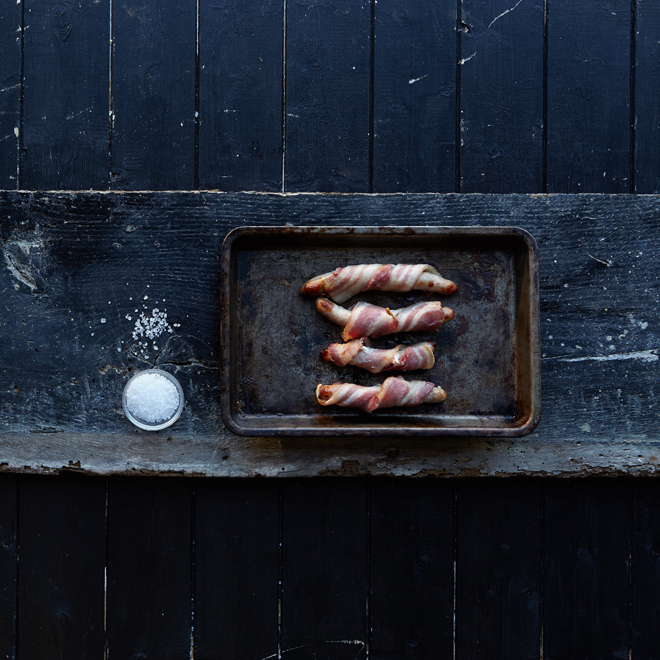 As well as the standard cuts we also make all our own sausages, cure our own bacon – including our molasses and fennel cured specialities – and make our own cider and honey-cured gammons.